What’s your biggest dinner dilemma? No plan? Bored with the same thing night after night? At a loss for fresh new ideas? Picky kids? Picky husbands?! 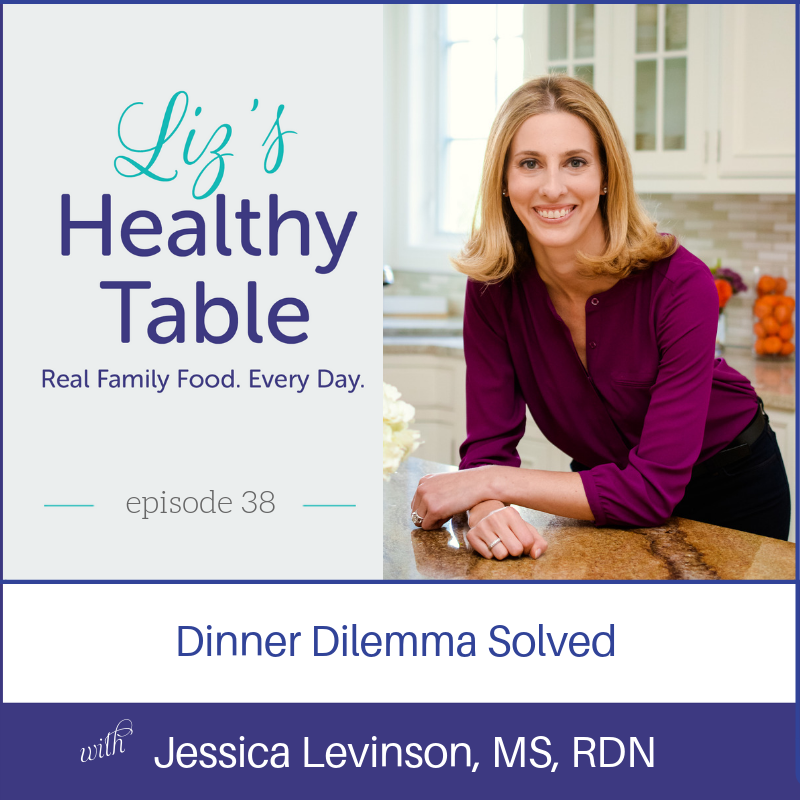 To the rescue this week to solve your biggest dinnertime dilemmas is mom, dietitian, and friend, Jessica Levinson, MS, RDN. Jessica is the author of the 52 Week Meal Planner: The Complete Guide to Planning Menus, Groceries, Recipes, and More. Jessica is passionate about creating nutritious and delicious meals that your family will love, and her meal planning tips and tricks are about to make your life easier, healthier, and tastier! No child is too young to be involved in meal prep and planning. 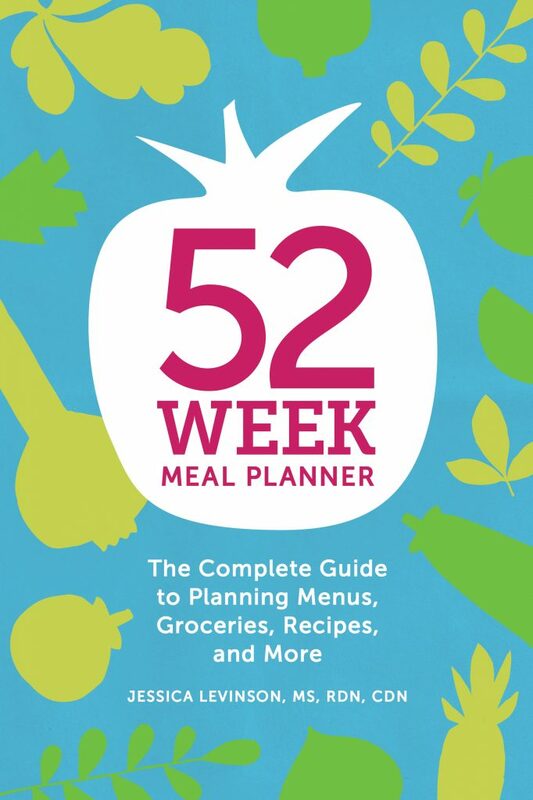 We’re giving away a copy of 52 Week Meal Planner: The Complete Guide to Planning Menus, Groceries, Recipes, and More. To enter, post a comment at the end of the Show Notes below and tell me about YOUR biggest dinner dilemma and/or your best strategy for getting a healthy, delicious meal on the dinner table night after night! Giveaway is for U.S. only and ends on October 23rd at noon. Jessica’s suburban life in New Rochelle, NY, after many years living in NYC. How and why she became a dietitian. 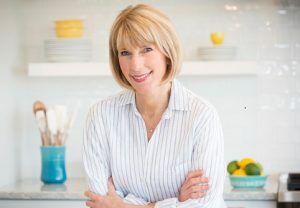 How her new book helps people get organized with templates for 52 weeks of meal plans, shopping lists, price comparisons, and a place to add your favorite, go-to recipes. Jessica’s Crispy Baked Tofu made with cubed, marinated tofu, baked at a high temp to make it crispy outside and tender inside. Liz’s Healthy Table survey results: 33% of moms are at a loss for dinner ideas, 25% say they didn’t have time for meal prep/planning, and 16% say picky eaters are their biggest dinner dilemma challenge. Take stock of the pantry items you already have on hand. Shop for what’s in season or on sale. Where to get good dinner inspiration: Pinterest, cookbooks, Facebook groups. Jessica’s favorite Buddha bowl: A bowl filled with a grain, veggies, and assorted protein foods. Picky husbands: Start slow with new veggies; use flavor; and keep experimenting. How to spot an EASY recipe that won’t take hours to make … or clean up: Jessica says to read the recipe first in its entirety, and look for healthy convenience foods (like at Trader Joe’s). Shredded Brussels sprouts; cubed tweet potatoes; spiralized veggies. With leftovers, use them for lunches, repurpose them for new meals, or freeze them for later meals. How to cook and use ingredients over 2 to 3 meals without making the same thing. Take advantage of the time you have to plan ahead, especially to prep veggies or salads. How to add variety in plant-based meals. 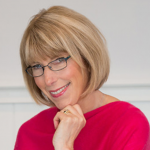 If you haven’t listened to my episode on Going Meatless More Often, be sure to tune in. How to roast spaghetti squash. Liz’s NEW recipe for Kale Salad with Roasted Delicata Squash. How to use fresh herbs before they go bad: plan meals, freeze them, dry them, make sauces, or add them to salads. Liz’s favorite slow cooker go-tos: Pulled pork made with lean pork loin, onion, bell pepper, carrot, and all natural BBQ sauce. The miracle of the Instant Pot for meal prep: Liz’s Bean and Barley soup comes together in just 7 minutes vs 6 hours in the slow cooker! The Vegan Lentil Shepherd’s Pie Liz mentioned on the show. You can find the recipe from Alex over at Delish Knowledge. A Healthy Kitchen Hack for keeping fresh herbs fresher for longer from Teaspoon of Spice. Seafood in a pouch. Here’s an idea for cod or haddock with mushrooms and corn kernels and another idea for salmon, carrots, and snow peas in parchment. Making interactive meals to get your kids involved in meal prep and planning. My biggest dilemma is a toddler and a newborn, haha, love them so much and thankful to be kinda figuring things out! My biggest dinner dilemma is having a picky eater in the house. It’s so hard to find a meal that everyone can eat. My best tip for getting a healthy meal on the table-when I cook one meal, I cook at least one piece of another at the same time. While I’m cooking pasta for tonight’s meal, I’ll also have rice going in the rice cooker for tomorrow night’s meal. I try to stay one step ahead of dinner! Way to go mom! It sounds like you’re a planner to make that happen! Biggest issue is planning ahead and satisfying lots of different preferences. Best strategy is having lots of healthy quick options on hand. We’ve used no whine with dinner for years! Many family favotites in there. Awesome. What’s your favorite recipe from No Whine with Dinner???!!! I’m a mom of 2 boys, a pediatric dietitian, I like your podcast and website! my biggest dinner dilemma is ” not having time to cook” after a long day at work, picking up the kids to the school, driving them to soccer and thennnnnn coming back home at 7 pm…. I’m a very organized person but sometimes I run out of ideas! My biggest dilemma is creating meals from what’s in the community supported agriculture (CSA)box. It makes meal planning challenging. I often come up with things on the fly. Do you get a list of what’s in your CSA in advance? I know it’s not always accurate, but if you have an idea that will help. Also, assuming you’re only getting fruits and veggies in the CSA box you can plan out proteins and grains to make so that no matter what veggie is in there you have some basic components of a meal planned out. My biggest dilemma is finding something that my meat lovers in the family will eat when I am trying to have meat take up less real estate on our plates! My biggest Dilemma is being able to cook things ahead each weekend so my weeks go easy once we get home for Dinner each night. Finding time for meal prep is challenging Caitlin! What I recommend is to batch cook some stuff that freezes well like chicken breasts, whole grains, sauces and soups. This way you can freeze some for weeks when you don’t have time to meal prep. My biggest dilemma is finding recipes that include the ingredients that I have on hand. And recipes that are not too time consuming! That can definitely be a challenge. When I have a random assortment of ingredients already on hand and I don’t have something specific to make, my fall back is frittatas, casseroles, pasta dishes, and Buddha bowls. I love meal planning! My biggest dinner dilemma is Friday nights when I haven’t anything planned, we’ve just gotten home from work, and we have two kids under the age of three begging for our attention. My biggest dinner dilemma is having to cook three different dinners every night, due to a son with celiac disease and a daughter in therapy for picky eating! Biggest obstacle to healthy dinner is usually remembering to thaw the meat! My biggest issue is that pretty much every week night we have some activity right around dinner time, but still try to eat as a family. I spend all week making crock-pot, instant pot, or make ahead meals, but my family doesn’t eat soup or casseroles, so I have a hard time coming up with new recipes. My dinner time dilemma is I have a husband on the Keto diet and two selective eaters. To please everyone, I make a lot of build your own bars (taco, potato, salads, soups with toppings, etc). This gives everyone the chance to personalize their plates and eat what they want. I would love the 52 week meal planner! My biggest dilemma is not having grab and go options when something unexpected pops up in our schedule or when I’m sick and can’t take care of dinner. I find that the weeks I plan ahead run so much smoother. This looks great. My dilemma is dealing with sensory issues, two kids with different quirks, allergies, one failure to thrive kid, one over weight kid etc. the Venn diagram of what all three will eat is almost three separate circles! No throwing things together at 5pm here. I try hard to menu plan a month at a time but it’s tough. The hardest thing for me is prepping before running g out of time at the end of a busy day. My biggest dilemma is feeding my high school athlete before and after practice. My biggest dilemma is being the one in charge and getting tired of other people not wanting to eat what I make. I also Sometimes feel stuck in the kitchen. So I am trying to meal prep for days at a time now to give myself days when I really don’t have to cook much. My biggest dilemma is trying to find time to cook healthy and tasty meals during the week. With a preschooler and a teenager we’re always on the go! One of my solutions is to do meal prepping on Sunday afternoons. My husband will usually grill or bake our proteins (chicken, fish, etc.) that we can base our meals around throughout the week. I’ll go ahead and prepare a good helping of veggies that I can use as my sides. Sometimes we also prepare whole wheat rice or pasta, too. Then when we get home late or just don’t have time to start from scratch, we have several options we can just heat and eat. One of our favorite go to meals is chicken and rice. We’ll cut up some of the chicken and toss it into a bowl of rice, add some seasonings. And tada! Dinner is served! Awesome tips! Thanks for weighing in and entering the giveaway! My biggest dilemma is making sure we have a balanced meal. Not so many carbs but more veggies to go with our dinner. I try and overcome by adding those “sneaky” veggies. (ie adding shredded carrots in meatballs or extra veggies in a soup). Our biggest dilemma is just being committed enough to planning what we might eat even a day or two in advance. We say we want to, but we haven’t done it very often. My biggest dinner dilemma: not having the energy to plan dinners week after week, especially because my youngest is picky. My biggest dilemma is that I am the picky eater and at 55 I’m not changing. So I don’t really like vegetables other than potatoes and green beans and not many fruits. So trying to be healthy and lose weight is very difficult! I really appreciated this episode. Biggest issue is feeling like there are too many choices when it comes to meal planning, and the desire I have to be a great cook who can prepare the complicated dishes made by my favorite chefs. Best strategy: I have a tiny notebook in which I keep track of my pantry – a page devoted to each food type, i.e., legumes, grains, grocery items, frozen foods, etc., and I review my pantry to make sure I am using things in a timely way. Another strategy: I keep a whiteboard on my fridge to help me keep track of what is in the fridge that is fresh and already prepared. I try to plan the week ahead on Saturday, so I have time to shop and do some food prep — mostly cooking up grains and bean dishes and freezing for the week ahead. For everyday cooking, I try to be a “good enough cook,” and save the fancy recipes for another time. However, I do plan to try the crispy tofu recipe! All that, and I still often feel like I am flying by the seat of my pants! Love the podcast. My problem is the time crunch and trying to feed a 12 month old, 5 year old who is Super picky , mom with dementia that doesn’t eat meat. and my husband and I. I try to make meals that can suit everyone, however it’s becoming very challenging. Most of the same: picky husband, teenager, and me. No time, No nearby Trader Joe’s. Mostly conflict between the fantasy me who cooks daily, bakes bread every one or two days, and has a kitchen garden and the real me who loves peanut butter cups. “How to cook and use ingredients over 2 to 3 meals without making the same thing.” I need this! My kids can tell a leftover 500 feet away. With a small family, getting a couple meals out of one kitchen project could help me do more real cooking–tackling things that interest me, even if my kids probably won’t eat them. I could plan to make one dish for myself and one dish for them! Wow! Yes! C, all of the above! My biggest dilemma is remembering to prep like defrosting meat or soaking beans! Trying to come up with new ideas in the rotation and getting the boys to eat, especially protein. Serving at least one thing that they will eat seems to work as they often don’t even try a bite of the main course. My biggest dilemma is the whole family is picky in different ways so it’s hard to find a happy medium LOL. This was such a great interview- I love Jessica’s ideas and book! My biggest dilemma is getting bored with the limited items that my husband will eat. The kids and I like almost everything. I sometimes make 2 meals just so we can try something new. Coming home in the evening with 2 working parents, and 3 kids in sports, I sometimes struggle to find what to feed everyone. I love to sit down as a family for dinner, but if I don’t have dinner prepped or made ahead, it is challenging! My biggest dilemma is finding time to plan ahead for meals on these busy days! This is such a great resource! Thanks for sharing, ladies! This is such a great resource – I wish more people would get into meal planning! My biggest dilemma is having 2 kids that are always changing what foods they like. One day they love lasagna, next time I serve it they only pick at it. Hard to plan well with changing taste buds! My dietary dilemma is cooking for different dietary patterns in my family. My oldest daughter (just turned 13) is vegetarian and my husband is strict low carb. My main approach is to make a theme “quesadillas”, “stir-fry”, “stew”, “baked protein and roast veggies” and make either a vegetarian option and a meat option. For example, a stirfry with tofu and rice with some chicken on the side. My other approach is to make beans (thank goodness my daughter will eat beans practially out of the can), a meat, a vegetable, and a grain. Then everyone can take what they want! Not easy!